This article originally appeared on wbfo.org on July 11, 2016. Marie Lorenz is a well-known nautical artist lead by her sense of adventure. Her newest quest started in Buffalo. 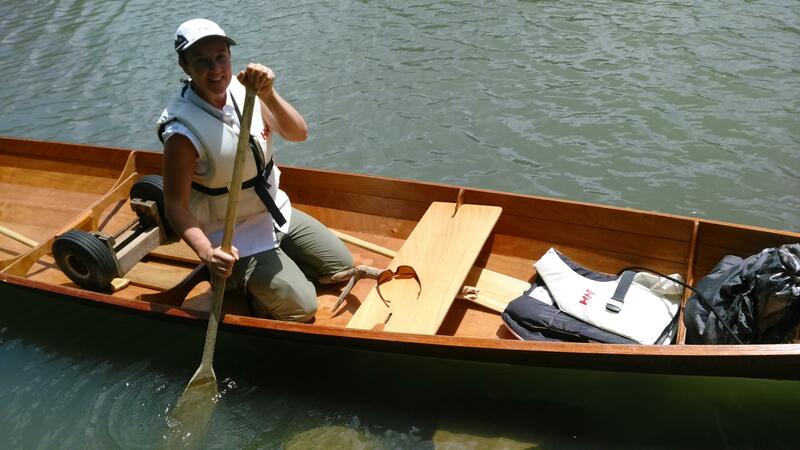 In a rowboat she made herself, she is paddling down the Erie Canal to her home in New York City a trip that's about 500 miles. Along the way, she’ll be documenting the trip with videos and photography which will be available for the public to view at the Everson Museum in Syracuse this fall. Her trip is a part of a project called Tide and Current Taxi. 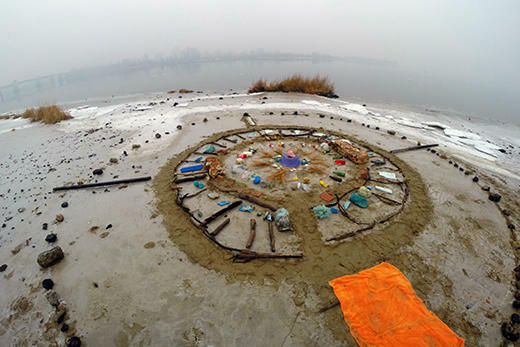 She started it back in 2005 traveling the urban waterways of New York City. She collects items that she finds along the way, like bottles and containers and turns them into art. In one piece she created a mandala-like structure using containers of all sorts like water bottles, a plastic milk carton and a Gatorade bottle. She carefully arranged the items and then documented the experience with video and photos. She says her artwork offers a unique perspective of waterways that are a part of everyday life. "I like the idea that you can be in these urban areas and the city areas and really have a natural experience," she said, likening it to an Adirondack kind of experience. Lorenz, 43, said sometimes she faces challenges when out on the water. One time, during a residency in Italy, she built a sailboat. It was a windy day when she took it out on the water. The boat ended up blowing out of the bay and then capsized. Her life preserver became hooked to the boat’s mast. "So my neck was like hooked to the mast and the boat was capsizing upside down," she said. "And, I realized that I was like bound, that my life preserver was bound to a sinking boat." She was eventually able to unhook herself from the mast and swam to shore. "It was very scary. It was definitely the most scariest situation that I’ve been in," she said. "Luckily I was alone, I was only me that was in danger." She said the trip is going to take five weeks to complete and she's traveling at about 15 miles per day. Others can go along on the trip virtually, by watching her video clips on her website tideandcurrenttaxi.org. They can also join her on the water by contacting the Everson Museum in Syracuse. Lorenz’s exhibition entitled Ezekia can be found at the Albright Knox Art Gallery and will be on display until Sept. 11th.